Samsung Galaxy S8 and S8 Plus will not be unveiled at the MWC 2017 tech show in Barcelona, but this doesn’t mean the tech giant isn’t working on the phone. Unlike previous occasions where the flagship Galaxy S series is usually announced at the MWC, this year’s version could see the light towards the end of March. It had been rumored earlier that Samsung Galaxy S8 and S8 Plus will be teased at the event this coming February, but a recent statement from a Samsung official put this rumor to bed by confirming that the phone won’t be in Barcelona. 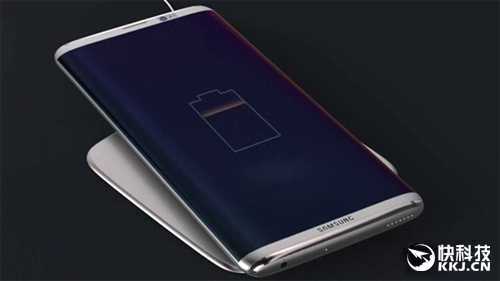 A lot has already been said regarding this year’s Samsung Galaxy S8 and S8 Plus smartphones, but the South Korean tech giant has remained silent on any inner details of the phone. Still, this hasn’t stopped rumors, leaks, and speculations from doing their usual rounds and in fact, you’ll love the latest one. Many rumors have claimed that Samsung is working on a new AI-based assistant known as Bixby. As it is, this digital assistant will be launched with the Galaxy S8 and S8 Plus and compete with the likes of Google Assistant and Apple Siri, just to name but a few. Not so long ago, it also emerged that Samsung is working on integrating the AI assistant into the front and rear cameras of the two S8 phones so that users can easily carry out a visual search. Now, in a new development, the tech giant has just filed a trademark for what it calls Bixby Vision. If anything, this could be the name of this AI-enabled visual searching feature when it makes its debut via the upcoming Samsung Galaxy S8 and S8 Plus. We have also seen another development where Samsung could also integrate this Bixby AI assistant into its mobile payment system as well as have it perform in the same way as Google Assistant, especially when talking about native apps. The fact that Samsung has filed for a trademark for this moniker Bixby Vision doesn’t confirm that the feature will be part of Galaxy S8 and S8 Plus. But if rumors are to be believed, we should see Bixby AI Assistant at work in the coming weeks. Next Next post: Xiaomi VP Hugo Barra to Step Down in February – But Why?